Live Nation has announced Grammy award winner and Rock & Roll Hall of Fame member Neil Diamond will be playing Leeds First Direct Arena on Thursday October 5. “Neil Diamond is more than just a music icon. His singular artistry and talent has left an indelible mark on American culture and has helped shape the sound of popular music for five decades” says Michael Rapino, president and CEO of Live Nation Entertainment. 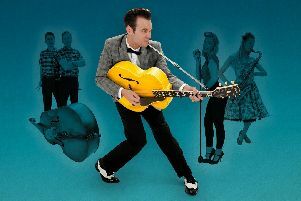 Tickets on sale Friday January 27 from 10am from www.firstdirectarena.com or over the phone on 0844 248 1585.